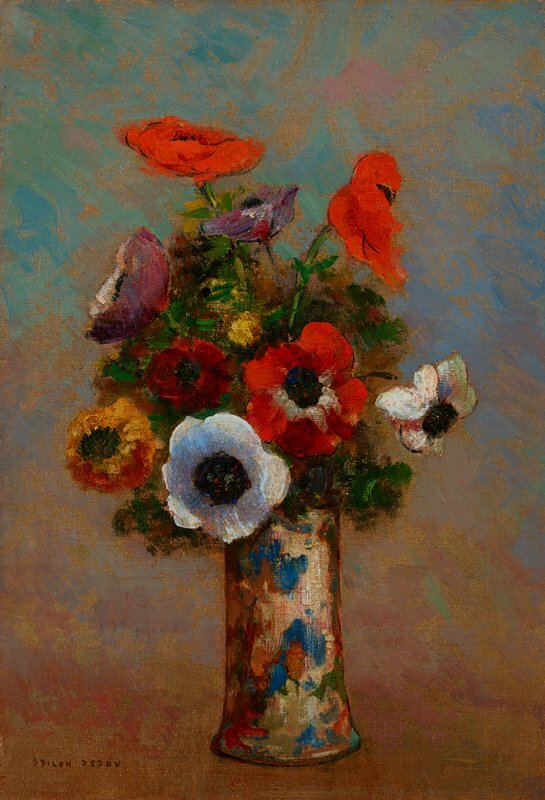 As a Symbolist, Redon does not attempt to make us believe that we are seeing a real vase of flowers. Instead he presents us with a universal archetype-a heavenly dream-of a vase of flowers that seems to float in an ethereal space. He wanted his works to touch us within, saying the he "placed the visible in the service of the invisible."